We know what you’re thinking. What’s the first best bed? 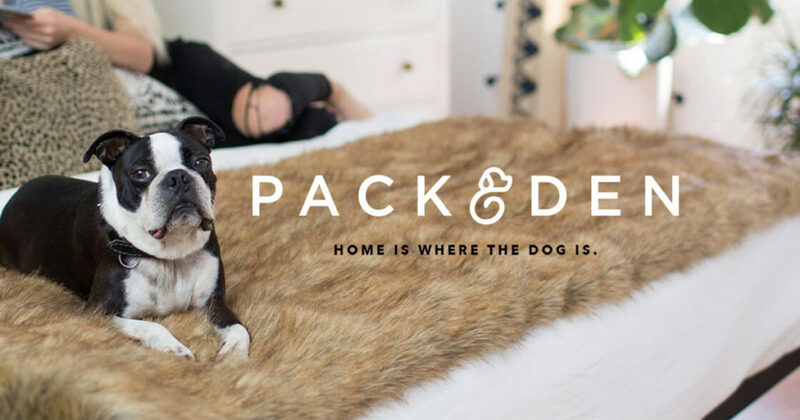 But for those times when you’re not home, or you’re in another room, we think you’ll love the new PACK&DEN line from iHeartDogs. 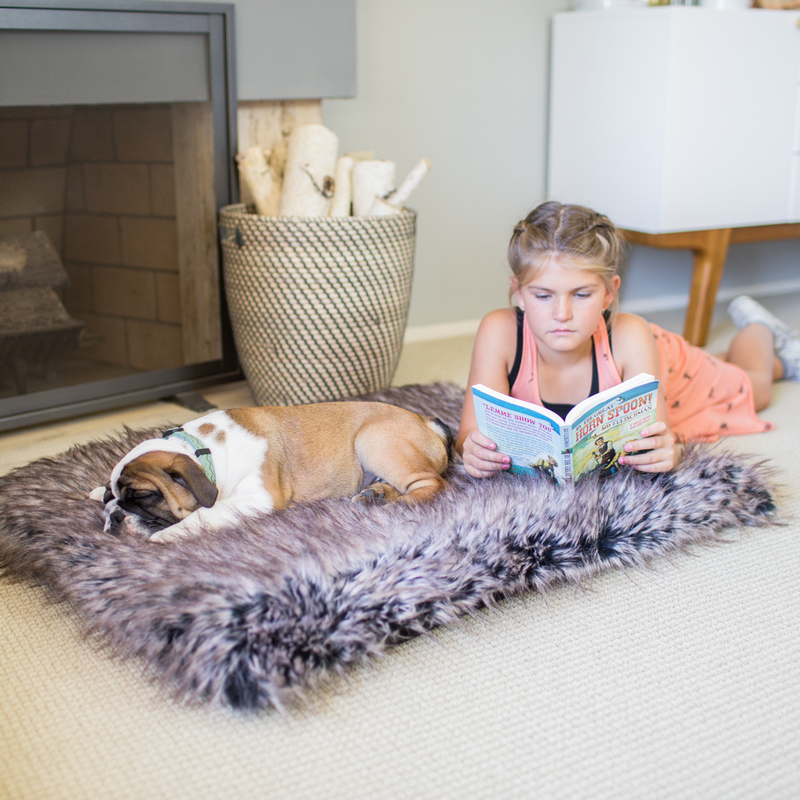 Reason #1: Includes 2 inches of high quality orthopedic foam layers: a stabilizing foam layer on bottom and a memory foam layer on top, creating a luxuriously cushy, yet supportive bed for your furry family member. 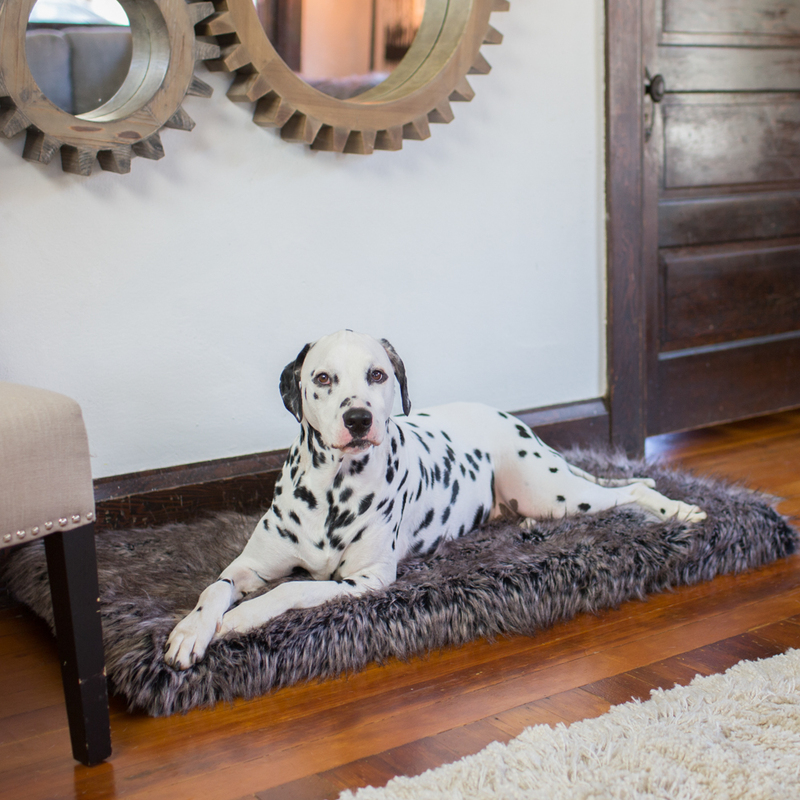 Reason #2: Features luxuriously soft faux (vegan) fur your pup will LOVE lounging on. The bed serves as functional decor, adding a touch of luxury to your home! Reason #3: The bed features an easy to clean, machine washable cover and water-resistant liner surrounding the foam. 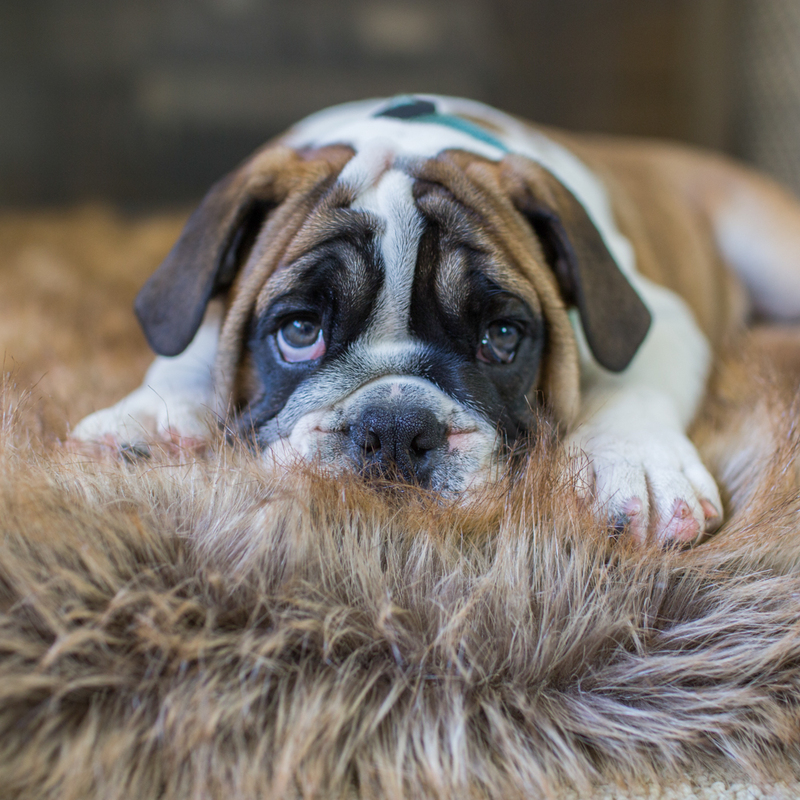 Reason #4: Every bed sold provides a snuggly, warm, comforting fleece blanket for a shelter dog while awaiting adoption! 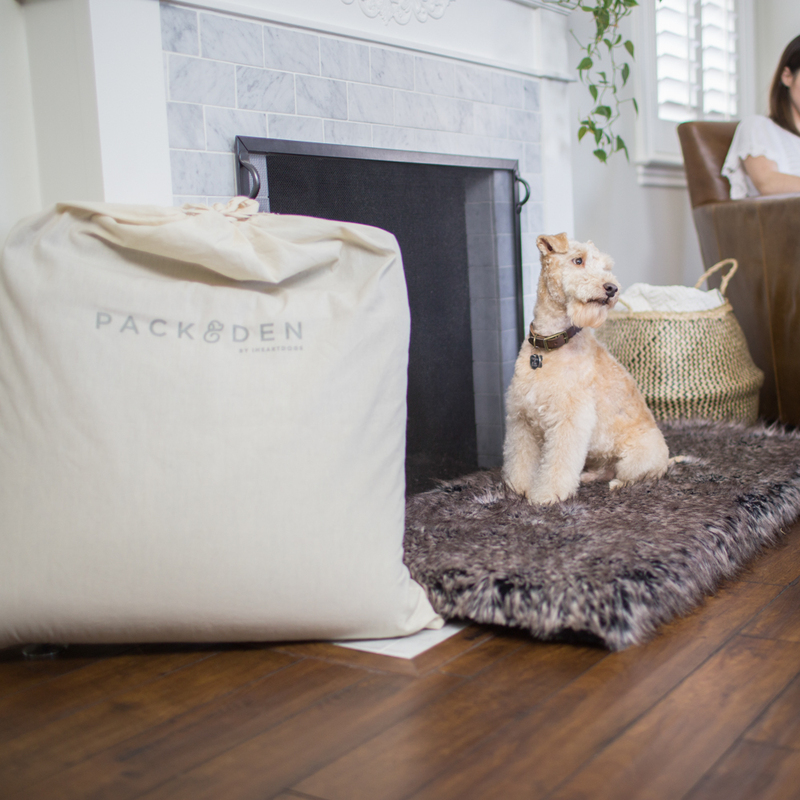 You can learn more about PACK&DEN by viewing the whole collection here.